Leading Manufacturer of fume scrubbers, venturi scrubbers, wet scrubbers and industrial venturi scrubbers from Ahmedabad. We put forth a supreme quality array of Fume Scrubber for the removal of acidic flames and controlling air pollution coming out of industrial exhaust stream. 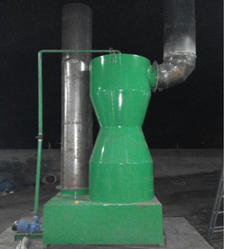 These fume scrubbers are used by the industries engaged in chemical production, molding, pickling, zinc plating, chrome plating and the related to generating gases and fumes. The main function of these scrubbers is to maintain clean and safe working atmosphere. We are considered in the market to be one of the leading manufacturer of this impeccable range of Venturi Scrubbers. For reasons of maintaining this reputation, we engage in the utilization of high grade raw materials and modern machines, as per the set industry norms and guidelines. owing to this, the product’s functionality, functional life, precision and user friendly nature, is highly commendable. We are an eminent company engaged in manufacturing a broad range of Wet Scrubber. These scrubbers are made using sophisticated technology at our well-equipped production facility under the watch of our experienced engineers. Wet scrubbers are used for the application, where the contaminants has cementitious nature and causing a potential build up problem. Further, these are ideal for the places, where dust is sticky, damp and explosive. 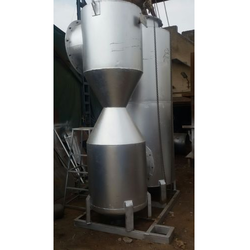 We are offering wide range of Industrial Venturi Scrubbers. 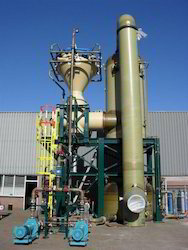 These scrubbers can remove both particulate matter and gaseous pollutant. These products are suitable to ventilate the dusty air. Moreover, these products are known for their precise use.